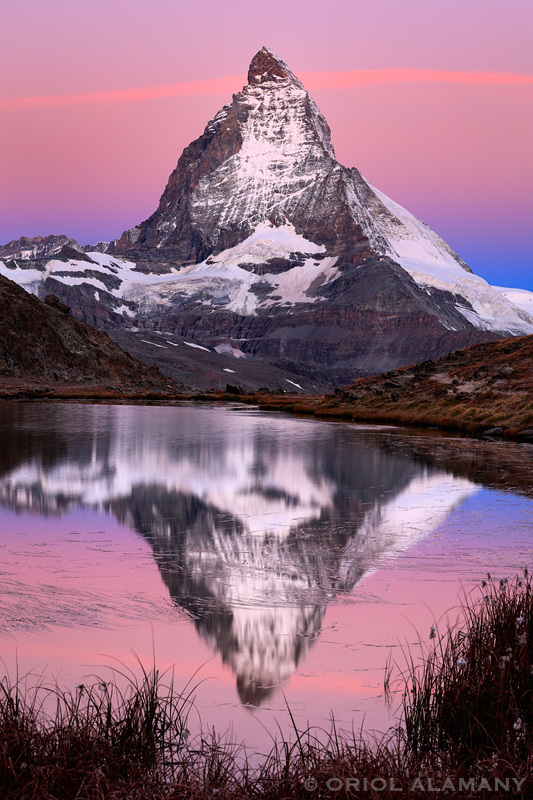 This is one of the most classic european views: the 4478 meters high Matterhorn seen from Gornergrat mountain. From my first visit to this place in 1991 I have come back several times and I ever feel great there. The last time was in autumn 2014, when I get up very early to arrive at the lake before sunrise.